Roselina Seaga, who attended a public meeting on reforming land ownership in South Africa, says "Since I was born I never had a piece of land that I can call home"
"We live like sardines while white farmers live on hectares of land. Bring back our land!" declared Nthabiseng Tshivhenga, a black civil servant. As elections due in 2019 approach, President Cyril Ramaphosa has intervened to accelerate land reform in order to "undo a grave historical injustice" against the black majority during colonialism and the apartheid era that ended in 1994. 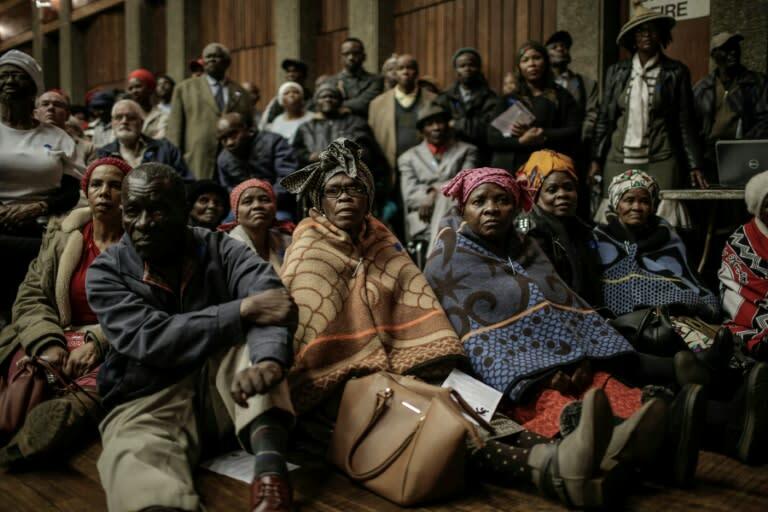 Many black voters welcomed the announcement that provoked unprecedented concern among the white minority that has been aired at a series of public hearings across the nation this June, July and August to debate the combustible issue. 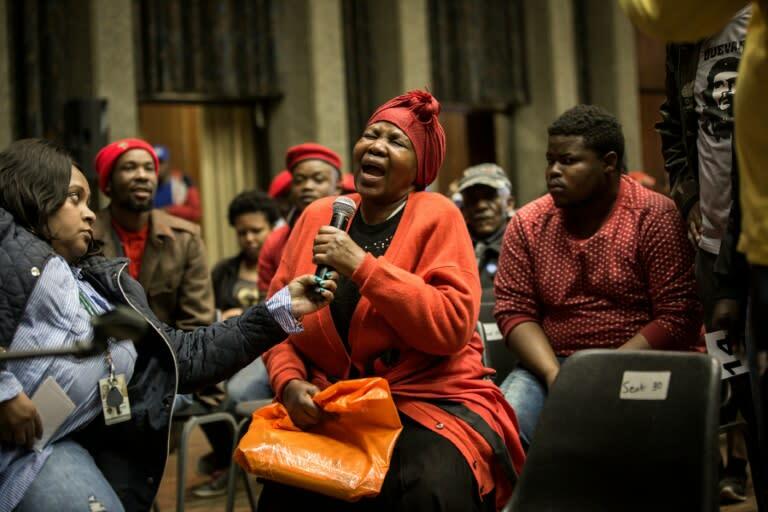 In a public hall in Vereeniging, a town an hour south of the commercial capital Johannesburg, more than 1,000 people turned out to make their voices heard. In the front row sat a group of women wearing traditional Sotho dress. "Why should we compensate people who didn't acquire the lands rightfully? 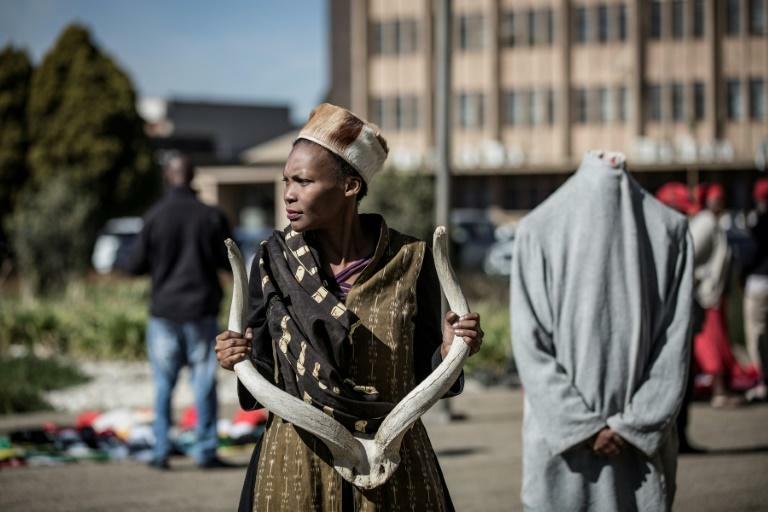 ", asked Tsabeng Ramalope, a 30-year-old black nurse. "Are we waiting for a civil war for this matter to be resolved?" she asked, speaking into a microphone, referring to several illegal land occupations seen in mostly urban areas in recent months. A lawmaker who mediated the debate, Vincent Smith, will on September 28 submit to parliament a report either recommending or rejecting the proposed constitutional change, considering feedback from the local consultations. "What the Zimbabwean experience is telling us is that expropriation without compensation is a catastrophically bad idea," warned white 37-year-old Carley Denny. Carley spoke on behalf of her father who owns a farm of 100 hectares (245 acres) that has been in her family for five generations. "The Zimbabweans might have seized land without compensation, but they are still paying for it through years of economic decline," she added, referring to the disastrous legacy of land reform launched by former leader Robert Mugabe in 2000. The smattering of white audience members applauded her point. "We all paid for our properties. We never stole our land," said another of their number, animal breeder John Knott. Land reform was a potent issue before the dawn of non-racial democracy and the election of the ruling African National Congress (ANC). The party had long promised to redistribute land more equitably but has never delivered on its election promises. "The land reform has been a huge failure because of corruption and lack of political will," said Edward von Bodenstein passionately as he challenged the president's proposals. In a recent report former head of state Kgalema Motlanthe -- an ANC member -- highlighted the grindingly slow process of past efforts to reallocate land more fairly. "You are sitting on a time bomb," said Khethisa Khabo, a local organiser for the radical leftist Economic Freedom Fighters (EFF) party. "We are not advocating for a white genocide. But the land belongs to us. We will do everything we can to get it back," he said, encouraged by the majority of those at the Vereeniging hearing. His party, which has wooed voters disillusioned by the ANC, has kept pressure up on the liberation party of Nelson Mandela. And at the end of July, Ramaphosa took to the airwaves to announce the constitution would be changed to fast-track land reform in favour of the black majority -- even before the nationwide land hearings had concluded.